Everyone should strive to stay fit and healthy regardless of age, profession, ethnicity, or economic status. And one of the best options to stay fit is through regular exercise or going to a fitness center. If you’re from Dayton or in nearby Mound House and Carson City, River Vista Fitness is the right place for you. We are recognized in these areas for our affordable yet comprehensive fitness programs for clients of all ages. With years of experience in this industry, we have already made a mark in the communities we serve as competent and professional fitness trainers. We’re slowly and steadily realizing our goal of providing the best fitness experience possible to all our valued clients, and we’re optimistic that we can do the same for you. As a locally owned and operated fitness center serving select cities in Nevada, particularly Dayton, we provide comprehensive fitness services at affordable rates. Specifically, we offer fitness classes (including yoga and spinning), massage therapy, personal fitness training, and even tanning. We even have a kid’s club for your children and towel service, all facilitated and provided by courteous staff members. While we’re certainly not the only fitness center in Nevada offering identical services, we sure have some great advantages over other fitness services providers. First is our accessibility – we are open for long hours every day of the week. This means that our clients can conveniently go to us during their free time. We also take pride in our complete facilities, including the latest fitness equipment used by top fitness clinics across the country. Moreover, we only have licensed and certified personnel. 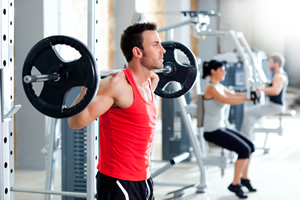 Our personal trainers, for example, are all NASM certified, so you’re assured to be in good and competent hands. Accordingly, the fitness programs that we offer are also patterned and inspired by the best programs available. So when you finish your chosen program module, you’ll surely have the fit and fab body that you’ve always desired. If you wish to know more about our offered services, or if you want to personally see our facilities, please visit our fitness center located at Dayton Valley Road. You may also talk to one of our trained personnel who can help you choose the right services or fitness program. One of the best things about us is our competitive pricing. Knowing that rates sometimes discourage potential clients from availing professional fitness programs and facilities, we carefully designed our rates to be very affordable. We offer flexible terms where you can pay monthly or go for a three-month membership. We also offer six-month and one-year membership options, while we provide discounted rates for second membership and additional family members. With very affordable prices such as ours, there’s absolutely no reason why you should not go to our fitness center and enroll in our offered programs. River Vista Fitness is easily the best fitness center serving Dayton, NV and several other cities nearby. If you’re looking forward to healthy you, or if you want to give your entire family the gift of a healthy body, please contact us today at (775) 246-3650.